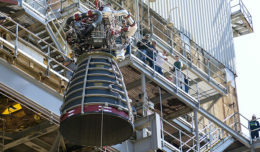 Rocket engine nozzles operate in extreme temperatures and pressures from the combustion process and are complex and expensive to manufacture. 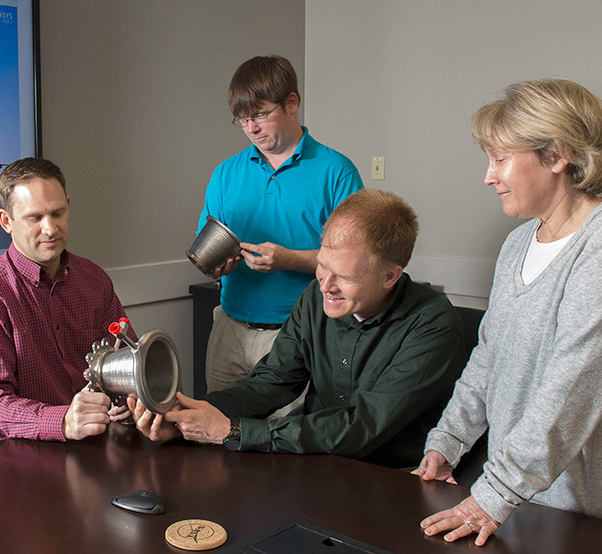 That is why a team of engineers at NASA’s Marshall Space Flight Center in Huntsville, Ala., developed and proved out a new additive manufacturing technique for nozzle fabrication that can greatly reduce costs and development time. A new process called Laser Wire Direct Closeout was developed and advanced at NASA to build a less-expensive nozzle in significantly less time. LWDC is a different process than most 3-D printing technologies, which are powder-based and fabricated in layers. It uses a freeform-directed energy wire deposition process to fabricate material in place. 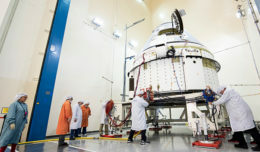 This new NASA-patented technology has the potential to reduce build time from several months to several weeks. 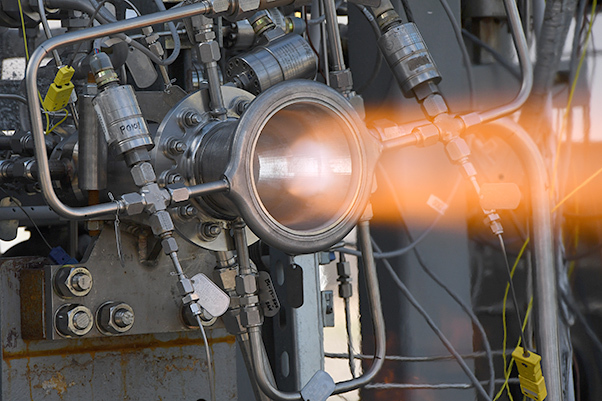 Through hot-fire testing at NASA’s Marshall Space Flight Center, engineers put this nozzle through its paces, accumulating more than 1,040 seconds at high combustion chamber pressures and temperatures. Now, this technology is being licensed and considered in commercial applications across the industry. Engineers from NASA Marshall Space Flight Center’s Propulsion Department examine nozzles fabricated using a freeform-directed energy wire deposition process. From left are Paul Gradl, Will Brandsmeier, Ian Johnston and Sandy Greene, with the nozzles, which were built using a NASA-patented technology that has the potential to reduce build time from several months to several weeks.